Enhancing agricultural trade is an essential component in fostering sustainable economic development in the Asia-Pacific region. However, the procedures associated with trade in agricultural products are considered among the most complex, costly and time-consuming. Agricultural trade facilitation can be defined as the simplification and harmonization of procedures involved in the import and export of agrifood products, including but not limited to collecting and processing data and documents required for the cross-border movement of these products. 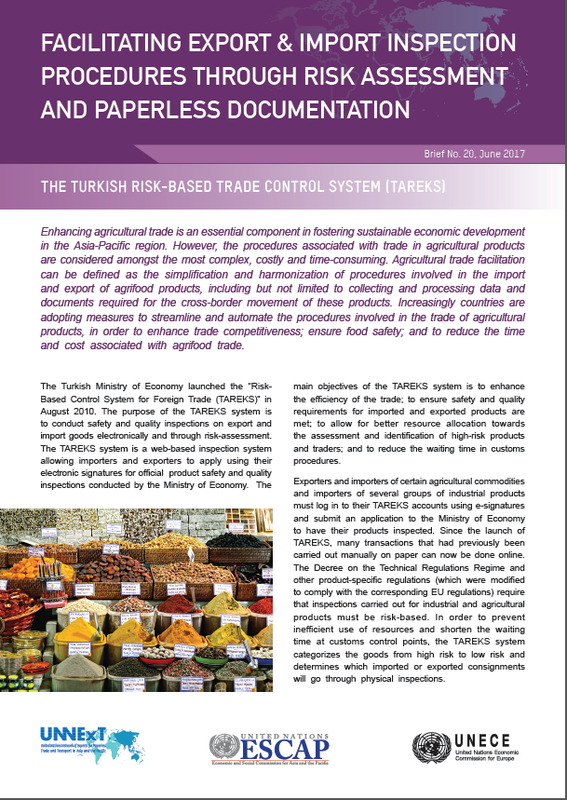 Increasingly countries are adopting measures to streamline and automate the procedures involved in the trade of agricultural products, in order to enhance trade competitiveness; ensure food safety; and to reduce the time and cost associated with agrifood trade.